Problem-solver, storyteller and creator of user experiences. Currently working as a Product Designer at Coople and building a platform to help people find their ideal workspace at Nomadik. 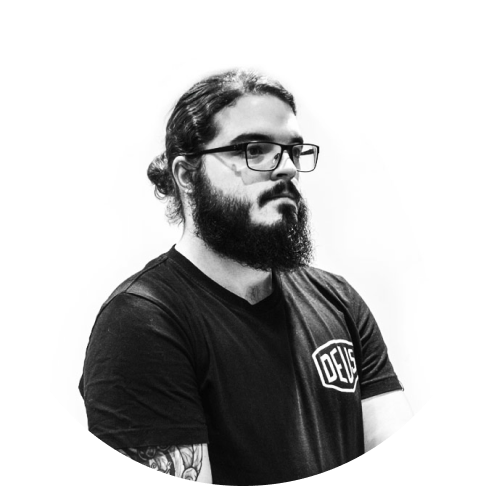 My name is Luis, also known as Luigiht on the Internet, I'm from Barcelona (Spain) but I've been living in London (United Kingdom) for the past four years, I'm a senior product designer with hands-on experience on the design and development of all kind of digital experiences. I graduated as an industrial design engineer in 2015, and while studying I became a self-taught graphic, web and product designer and programmer I have been crafting websites, brand identities, user interfaces, and artwork designs for more than nine years now. I love solving user problems and building things from scratch, from research to the final delivery, I learned both design and programming to be able to create digital products all by myself. When Iâ€™m not in front of a computer designing or learning about design, you can find me traveling the world or exploring my passion for photography. Iâ€™m based in London but I consider myself a digital wanderer in a journey to create better products by learning how different people around the world live their lives. As a maker, I enjoy building products from end to end. I specialise in the design of digital products of all kinds, from a corporate website, a new product platform or a mobile app, I specialise in creating the full experience, from the prototype, to the high fidelity prototype and when applicable also build itâ€™s own design system to help escalate and iterate after launch with userâ€™s feedback. To be able to come up with successful solutions that solve user problems and cover their needs, doing an extensive research and testing with them is crucial, I enjoy getting to know the users and perform research and usability testing sessions to discover how to improve the products I help build in a better way, it also gives me insights on new design directions and decisions to take. Apart from being usable, a product needs to be visually appealing, not only in the sense of being attractive but also as in line as possible as the trends of the market where this product is going to be launched, the visual appearance of a brand or product need to consist, representative and have the right character. I specialise in building grand guidelines and visual identities. What started as a side-gig while studying my engineering degree became my passion over the years and after finishing uni I decided to focus my career solely on digital product design. Starting building websites, identities and artwork for music brands and as a consultant for music record labels, I, later on, joined a few design agencies to focus on the digital transformation of SME and startups building online platforms and applications and currently working on the gaming industry redefining user experiences. Seeking always for new challenges and ways to solve problems and tell stories using the digital world. Even though each project is different, I usually follow the same steps to ensure the success of the execution, from an initial market research, stepping into the definition of the requirements from both the user and the business perspective, to an initial brainstorm of ideas that will conform the project, moving to a rough low fidelity prototype that is tested with an small group of users, helping iterate and improve what will become the high fidelity prototype together with its design system and finally preparing the final prototype to be build by creating the documentation and design files to be handed over to developers. When a project needs to be executed by multiple people, some with specific responsibilities and forming part of specific teams, either product, engineering, marketing or management, and over the past few years Iâ€™ve been in charge of ensuring that the communication flows between the team members, both from the design perspective as the union between product and engineering and as the one overseeing the development process. Sometimes taking special ownership of each team, having to manage multiple designers or overseeing the work of the developers after the hand-off. *While Iâ€™m usually based in London, I started a journey as a digital nomad in 2018 and you can find me working remotely while exploring the world at least a week every month. Helping me get out of the rush of the big city and learning about other peopleâ€™s behaviour and ways of living. You can learn more about it and how it ebenefits my life by reading this blog post. Although every project is different, I like to set the bases of each product to help everyone involved in the execution get a better understanding, and through my experience, help in every step of the project to ensure everyone is involved in the success of the solution. When joining a project I like to sit down with the product owners, main stakeholders and project managers in order to plan the way the project will be approached and all the initial requirements that need to be fulfilled from the business perspective, although they might vary through the process. After the first idea has settled and before jumping into initial assumptions, I like to investigate the problem this solution is trying to solve and also the users it will be helping, getting a closer look at their needs and how we plan to help them fulfil them, sometimes affecting the main aim of the project. When the analysis has finished and we have all the data collected and prioritised, I start coming up with mockups, sketches, storyboards and wireframes of how the problem could be solved, and share thoughts and compare in order to find the best solution that will be tested. Once the brainstorming and initial iteration with mockups has been finished and contrasted with users, I start building up a more in-depth prototype that can be tested with users so they get a real feel of how would be to use the final product and get their insight in how they behave with it. After we have been made the requirements amendments to the product and itâ€™s ready to be shipped, IÂ build the closest to reality solution and together with a close relationship with developers helping them with the hand-off of the designs and assisting in the development of the product. While the developers deliver the final product to the general public, either through a soft-launch with a beta or a full release, the product is never static and the process of analysing user data, behaviour and feedback will help to go back to the drawing board to improve it. Should designers code? Maybe. Should designers write? Yes. Should designers know how to sell? Absolutely. If you want to keep up to date with my posts, donâ€™t forget to check out my blog. Want to start a project with me or just say hi? Donâ€™t be shy.